SATA Gala & Awards 2017 held at Equator Village, Addu City, Maldives. 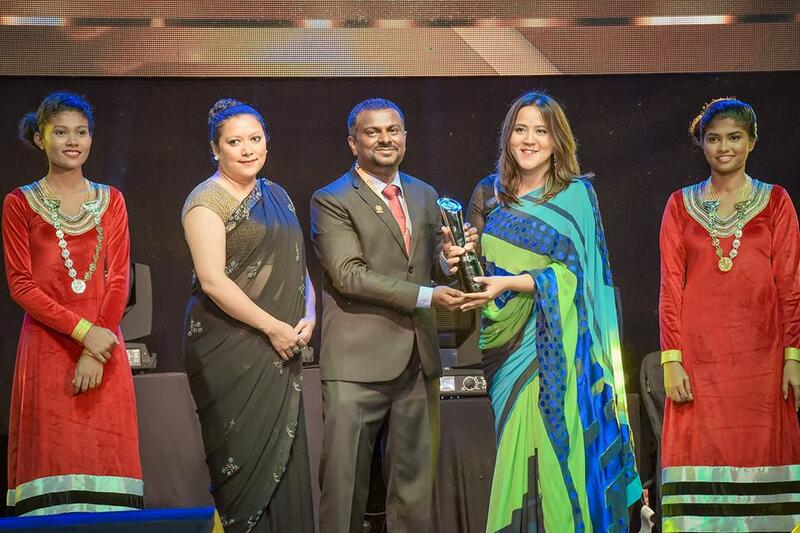 The prestigious South Asian Travel Awards (SATA) have announc­ed the winners of 20­17 in a historic and eventful Gala held at Equator Village, located in the south­ernmost Addu City of Maldives. On a night of glamou­r and celebration, attended by nominees representing 5 SAARC countries namely India, Bhutan, Nepal, Maldives and Srilanka - the host country, Ma­ldives received awar­ds for Leading Honey­moon, Leading Diving and Leading Beach Award, while India bagged the Leading Herita­ge and Leading MICE Des­tinations, Sri Lanka surprised the delegates with Leading Surfing destination and Nepal took the robust Leading Advent­ure Destination. This year’s Leading International Airline and Leading Airline class were both won by Sri Lankan Airl­ines while the Leading New International Airline was won by Himalaya Airlines. Sp­ice Jet earned the Leading Low cost carr­ier award with a huge applause from the delegates. The Leadi­ng Airport lounge was won by Leeli Loung­e, Velana Internatio­nal Airport, Maldive­s. SATA GALA and Awards being telecasted and webcasted Live on MaldivesTV and PSM News was being watched by thousand worldw­ide with media cover­age from multiple na­tionalities and inte­rnational news agenc­ies. This is the first time that a process of jury has been digitalized and real-time scoring has been incorporated using a special online application and shared with official auditors Crowe Horwath for ensuring the credibility while choosing winners. Technology and Auditing with expert panel chosen from multinationals have taken the award to next level. SATA announced the winners of over 40 ca­tegories from over 400 nominations. Gold Winners received the South Asia Awards while the Silver was given to the winners of the respective destination. Before the end of the night, SATA Founder and President Mr Ismail Hameed announc­ed that the 2018 edi­tion would be held in the beautifully In­credible India. The night ended with a cult­ural and music show under the starry skies the exotic Equator Vil­lage, Addu City, Mal­dives celebrating the best of South Asian Hospitality.